You've found our Homeschool Space Science Unit Study! It's perfect for solar sytem-loving astronomy fans and anyone who wants to learn more about space and our solar system with hands-on science projects! This unit also works great for a summer camp or homeschool co-op class! 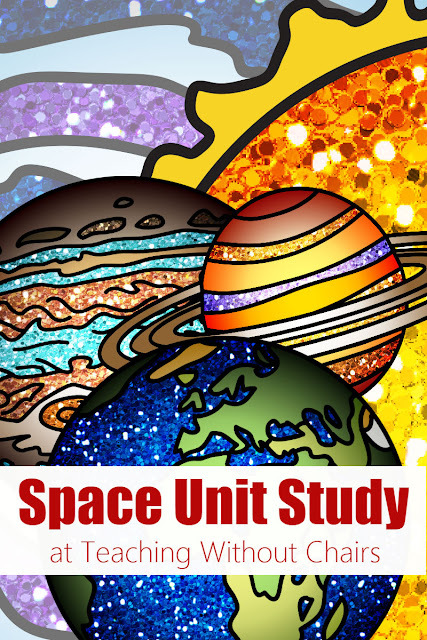 I am delighted to be sharing this unit study with you as we work on it! As I write up each day's lesson, I will link it to the plan below! When I finish, you will have the option of purchasing the whole unit with bonus printables or using the free lesson plans below any time! You will know you can click on the lessons when they are highlighted in yellow!